In recent times, there has been a lot of technological advancement in the printing industry. Before now, owning a 3D printer seem like something for businessmen only but these printers have proven to be very practical even around homes. 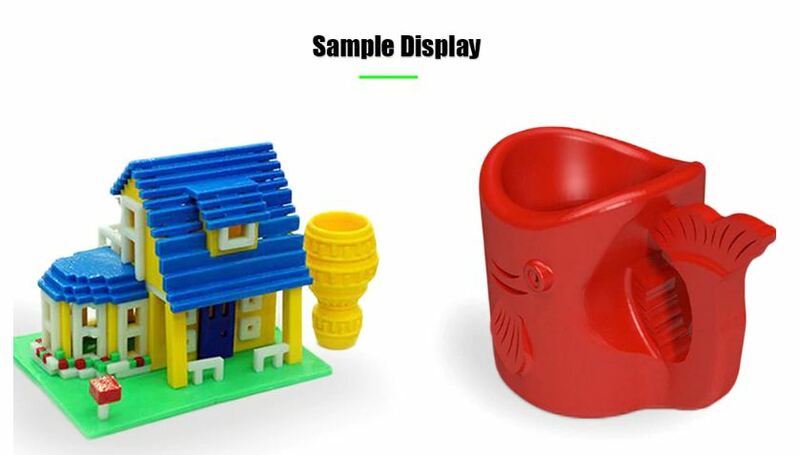 With 3D printers, you can make three-dimensional solid objects from a digital file. The creation of a 3D printed object is achieved using additive processes. In an additive. This means that the object will be created by laying down successive layers of material until the object is formed. It is completely amazing to know that 3D printing enables you to produce complex (functional) shapes using less material than traditional manufacturing methods. You can work on product structure design, toy modeling, architectural design, fashion jewelry design, parts manufacturing, daily necessities, and education. For art lovers, this means that you can design a wonderful building or a fictional village on your system and print it just as it appears on the screen. Isn’t this wonderful? This can be done using the TEVO Tornado full aluminum frame 3D printer. This printer is currently available on Gearbest for $349.99 which is 40% off its original price. 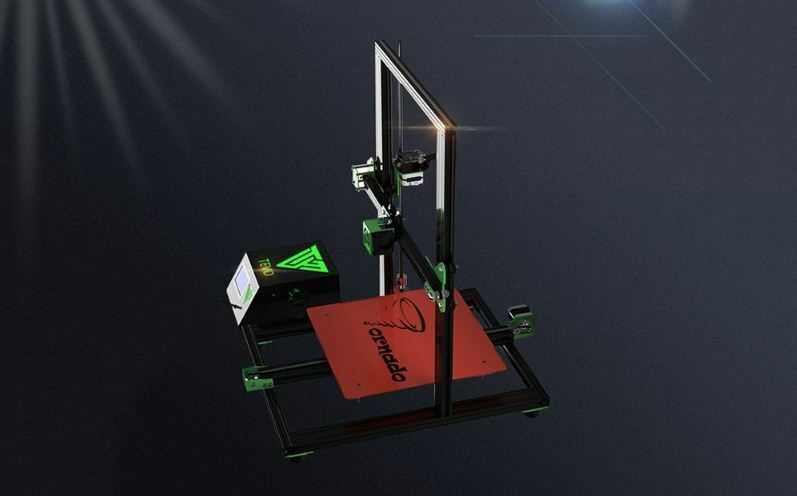 The TEVO Tornado full aluminum frame 3D printer operating system runs on all windows like the Windows 7, Windows 8, Windows XP, Linux, MAC OS which are design to improve operation speed for more effective use. 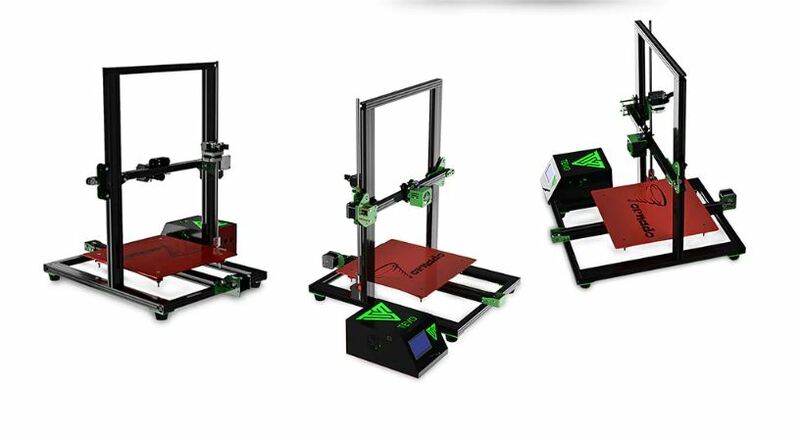 Unlike many 3D printers which you have to assemble from the scratch, the TEVO Tornado full aluminum frame 3D printer is already 95% assembled and can be easily installed and operated. This product is great for stimulating users’ creativity and inspiration and realizing their ideal. It has a very stable structure with full aluminum frame design and weighs 10kg with a dimension of 50.00 x 60.00 x 62.00 cm. 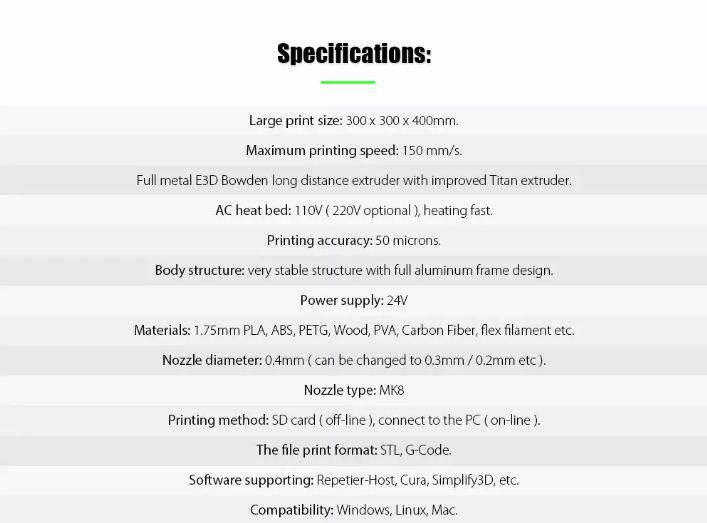 The supported file formats are G-code, and STL while the usable printing materials include ABS, carbon fiber, flexible filaments, PETG, PLA, PVA, and wood. 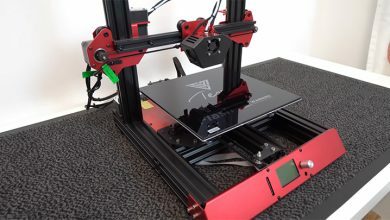 This compact and small size all-in-one power box with LCD control panel has a printing speed of 150mm/s and it also supports SDcards.The TEVO Tornado full aluminum frame 3D printer has a high transverse speed with 50 microns high accuracy printing quality which ensures that your design comes out perfectly and in good time. 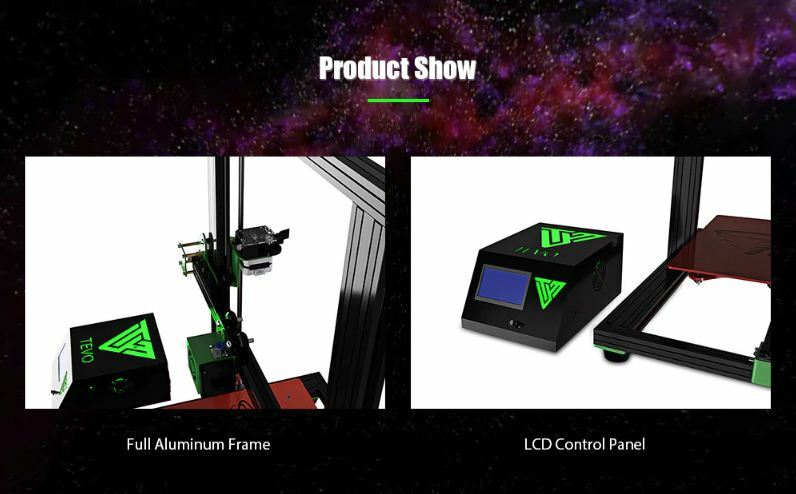 With its Bowden style Titan extruder, fast heating AC heat bed, special design fan cover and high precision modular system, the TEVO Tornado full aluminum frame 3D printer guaranteed safety protection, high performance, universal extrusion, and a smooth/precise finishing. It has the capacity to work long periods and it delivers a large print size of 300 x 300 x 400mm which is more than what most 3D printers offer.